North American carrier T-Mobile has released the Android Pie update for the Galaxy S9 and Galaxy S9+. T-Mobile is the last of the four major carriers to be pushing out Pie to Samsung’s 2018 flagships. The update was released on February 10 and comes with software version G960USQS3CSAB and G965USQU3CSAB for the S9 and S9+ respectively. The Pie update for T-Mobile’s Galaxy S9 and S9+ brings RCS Universal Profile 1.0 support, which will allow users to send photos, videos, emojis and more via standard messaging, removing the need for using messaging apps like WhatsApp. As for Android Pie itself, you get Samsung’s One UI interface and plenty of new features, both major and minor ones. Some of the changes that Pie brings might not sit well with everyone, but one can hope that Samsung will make improvements based on consumer feedback with future updates. Own a Galaxy S9 or S9+ on T-Mobile? You can check for the update on your phone by going into the Software update menu in the Settings app and tapping Download updates manually. It’s a 1.9GB download over the air, so be sure to use a Wi-Fi network if possible. If the update doesn’t show up right away, then you might have to wait a few hours as these updates are sent out in batches. 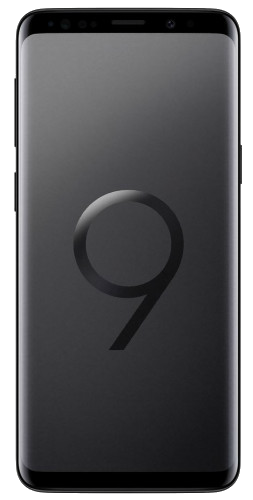 Rogers in Canada Galaxy S9’s Android Pie update is rolling out on last Saturday Feb 9. Samsung S9+ G9650 TPA Android 9.0 one UI Rolling out Now. Left to the model of Latin America yesterday the Android Pie. G9650 is also getting Pie right now! And G9600 too, of course. In which country do you find yourself a friend? Is it for the S9 + Sm-G9650?